This article is probably a little more relevant to the male fraternity of our audience. As men, we’re afflicted by this terrible disease called ‘ego’, which inhibits are ability to be effective. We can’t help it, we’re simply born with it. We have to prove ourselves and worth to the outside world. Of course, not all men are afflicted with this, and it varies to different degrees. Please don’t be offended poor little men! All too often we get caught up in the dopamine fueled addiction of Strava kudos. Craving the likes for the training runs we post, inflating our egos to even more gigantic sizes. But one of the most beautiful things about training is the balance between ego and effectiveness. To be effective, you have to balance your ego. 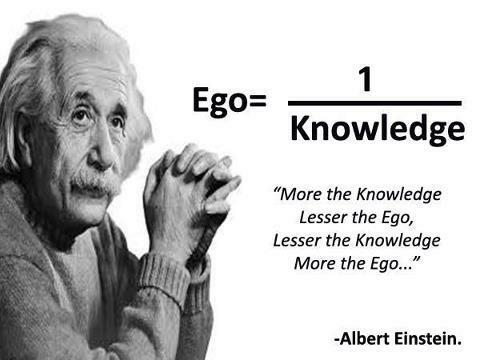 So what drives ego? Why, when we run do we get carried away with proving that we’re the best when no-one other than ourselves really cares or takes notice? Our ego is self-conscious and wants to be in control. It comes from within ourselves, it is a place that is totally absorbed with our reputation, personal interest, and in some respects, survival. Some ego in our training structures isn’t a bad thing, it’s just that at times, it requires some control for us to be effective for the rest of our training. So what are the warning signs to look out for? #1 More is never enough – Smashing a PB one week is great, but only for a minute. You’re already thinking about how you’re going to smash it the week after. But then sometimes you crash and burn big time. Look for consistency in your training. It’s OK to be slightly slower over the same session one week versus the next. What you should be looking for is that gradual upward curve and a focus on peaking at the right time. If you want a better example, think of your training as you would your interval sessions. If you’re doing 12 x 400s around a track, you should aim to have no more than 5 seconds between your fastest and slowest laps. It’s no use busting out a 400m PB if the rest of your laps are 20 seconds slower. Look for the consistency across all of your training and recognise when it is time to go hard and when it’s time to pull back. More or effectiveness is something you gain over a period of time, not just a session. #2 You’re never wrong – Even though you may have crashed and burned in two of your sessions, your attitude is to get back out there and smash it all again. Learn to accept when sessions don’t pan out the way they should and be open to advice. The more open-minded you can be about your training and approach to running the more you will learn. If you’re only concerned with doing it your way or the highway, you might never actually reach your potential as a runner. #3 Training becomes too serious – We’ve all had that feeling I’m sure when the joy is lost from our training. While it could be the monotony of what you’re doing week in, week out. It can also be because the running ego is so fixated with the job at hand, stealing your joy by filling you with concerns and worries about what you’re doing in your training. The running ego struggles with anything that threatens the self-concept and as such goes on the offensive to fight fire with fire. In training this means going harder and harder until – snap, you’re injured. If you’ve lost the joy of training, then it could be that your running ego is taking too firm a grip of what you’re doing. Novelty and play time in life are qualities that as adults we lose rapidly from our childhood. Go out and run a silly session. Ditch the watch and run at a stupidly slow pace and look at your surroundings. Dump the ego at the door and look to simply enjoy the motion of running. It is after all why you started in the first place. These are just some of the things that come to mind. I’m not a qualified coach or psychologist – the above is merely opinion based on experience and listening to people, understanding effectiveness. It’s a fascinating topic to explore and understand more about the controlling nature of the ego in running.